To generate electricity it is necessary to continually move a conductor through a magnetic field. A practical and easy method is to continually rotate the conductors in a magnetic field. The physics of doing this naturally result in the production of a sinusoidal waveform (see note on sine wave generation for more details). Early generation was easy to implement using rotating machines. Today it would be relatively easy to generate a variety of waveforms (using Pulse Width Modulation for example). With the extensive existing sinusoidal based infrastructure, it is unlikely that other types of wave form will be adopted. 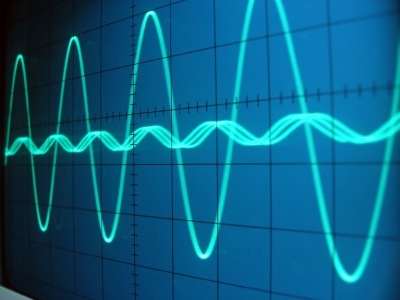 There may potentially be certain applications where the use of a different type of waveform may be beneficial. The problem of transformation of voltages for long distance transmission is conveniently solved by the use of sinusoidal waves. A the current is continually varying, so is the magnetic field it produces enabling the development of transformers. With modern advances in power electronics, there are alternatives now available which are being employed (for example in the transmission of dc power). Integrating or differentiating a sine function results in a cosine (or shifted sine) function. System design around this becomes relatively easy. Compare this with say a square wave, where di/dt at the direction change there would be very large non-linear voltages created. What is advantage of 60Hz over 50 Hz? I think there is little technical difference (reactive impedance is about 20% different), mainly it is historical. Various theories, but some people say 60 Hz was chosen by Westinghouse in the US as there was less arc-light flickering and 50 Hz by AEG in Germany because it was a more a metric type of number and part of the preferred series. These two systems seem to have spread to what we have today. With the inductive impedance being higher in a 60 Hz system, you could argue you need more copper for power transmission at 60 Hz making it more costly and less environmentally friendly. A disadvantage as opposed to an advantage. 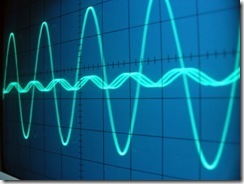 A possible advantage of 60 Hz is that transformers and motors are generally smaller. The induced voltage in a winding is proportional to the sine of the angle between the winding conductor and the magnetic field. As the conductor rotates one revolution the angle goes from 0 to 360 degrees generating a sine wave. The article has a link to our Wiki page, which probably explains it a little better.